Those who crave big sound, high performance, and total autonomy need look no further than the Braven 850. The Braven 600 stands as one of our all-time favorite portable Bluetooth speakers. Its sound quality is pristine and powerful, and its build quality is second to none. It’s such a great product, that we couldn’t help but want more of it. 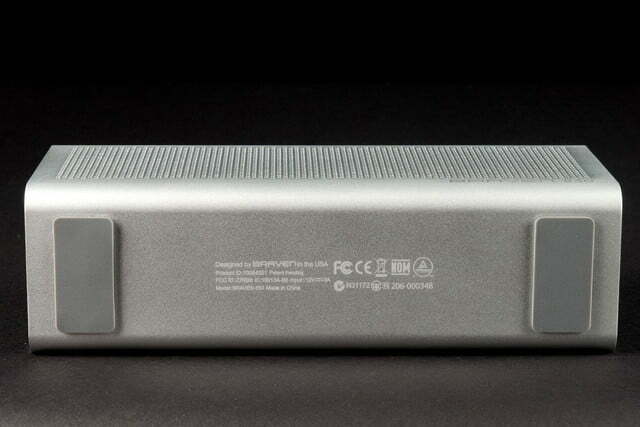 In fact, since we reviewed it, we’ve secretly held hope that Braven would come out with a super-sized version. 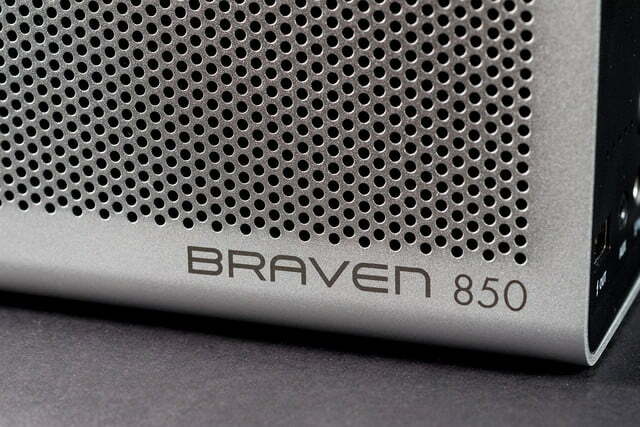 You can imagine, then, that we got a little excited when Braven announced its 850 speaker. True Wireless…allows two speakers to be wirelessly paired as discrete left and right channels. Bridging the gap between homebound wireless speakers and travel-ready portables, the 850 promises high-quality audio you can take with you just about anywhere. And with 20 hours of battery life (and a charging port for your mobile devices) you can afford to stay awhile. To further sweeten the pot, the 850 boasts audio enhancements like aptX, SRS WOW HD audio, and True Wireless, a feature which allows two speakers to be wirelessly paired as discrete left and right channels. Of course, all that bling comes at a premium price of $300 per speaker. Is the 850 really worth that kind of cash? We recently got our hands on a pair to find out. Opening the 850’s snazzy orange and black box revealed a familiar, if much larger, brick of aircraft-grade aluminum. The speaker’s weight follows its grander dimensions, and we felt all of its 3-plus lbs. as we pulled it from its package. Though the 850 looks strikingly similar in general design as its underling, we immediately noticed some subtle differences. An accessible row of black control keys on the top of the speaker replaces some of the less convenient side-facing controls found on the 600 model. 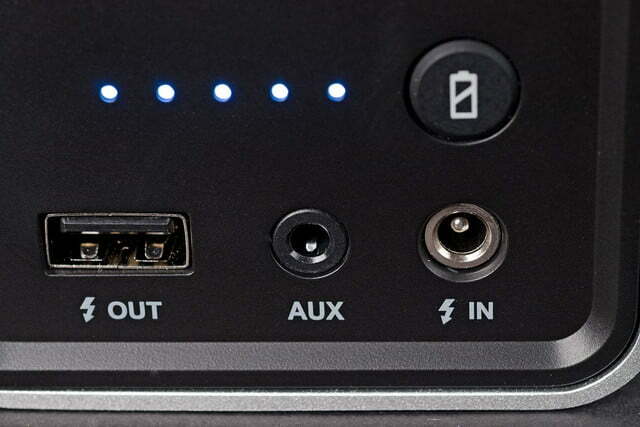 Also, the mini-USB charging port we see on most portables has been swapped out here for a heavy-duty 12-volt DC input. Nestled in the bottom layer of Styrofoam beneath the speaker was a collection of accessories including a 3.5mm Aux cable with gold plated tips, an instruction packet and a charging adapter complete with a set off of detachable plugs for use internationally. That’s right, the 850 is worldwide, baby. It’s no secret why the 850 follows the design of its miniature counterparts so closely. 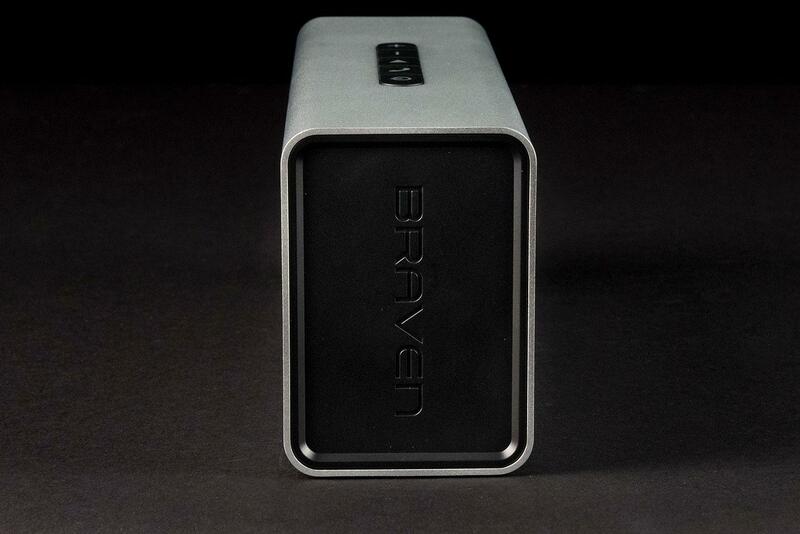 Braven has created a timeless aesthetic with its little minimalist bricks, boasting rugged elegance, as well as solid build quality and engineering, and it works just as well at four times the size. The versatile feature set and wireless autonomy adds a new layer of options that single unit systems simply can’t address. The aircraft-grade aluminum makes for a nearly indestructible outer shell, and the dual-faced reflex design uses synergy to create a fuller sound stage. The speaker’s internal amplifier provides 20 watts of power, divided between the two active drivers at the front, while twin passive radiators at the back utilize sympathetic vibrations and exterior boundaries to provide girth to the midrange and bass. 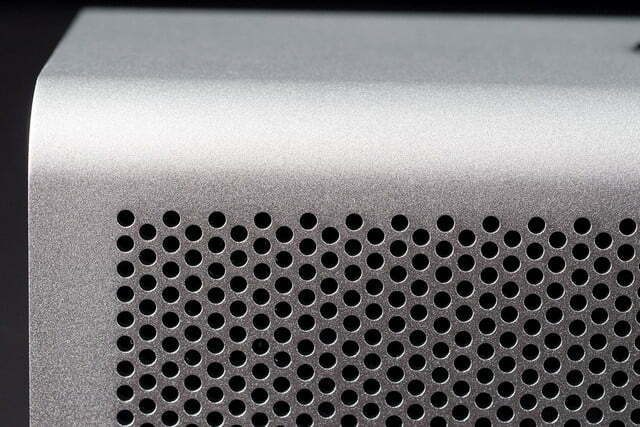 Our only complaint here is that the finish on the speaker can be rubbed off with harsh use, so take care of this baby. The strip of control keys on the top panel includes a power button, a phone button, a play/pair button, and volume/song search buttons. 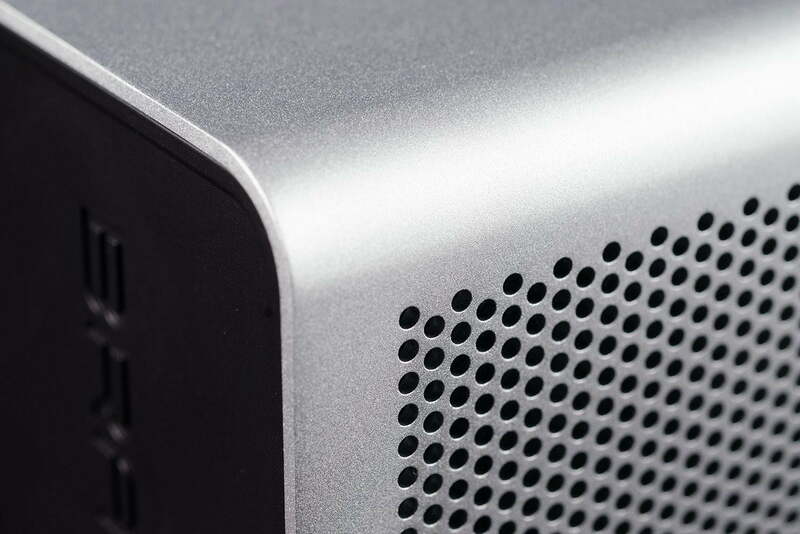 A pinpoint hole at the top contains an onboard microphone for hands-free calling. At the plastic panel on the right side is a battery monitor button with a correspondent five-LED array, and a set of ports including a USB charger for smartphones and tablets, a 3.5mm Aux input, and the speaker’s 12-volt charging port.The 850 also employs a well-tuned DSP system equipped with the previously mentioned SRS WOW HD audio, which is designed to add presence in the high end, and more power in the bass frequencies. The feature can be enabled or disabled by holding down both volume keys. Doing so emits a shrieking beep to let you know the system is engaged. The speaker sends and receives audio via Bluetooth v 3.0 and employs the aptX codec for improved wireless audio quality. It should be noted that iOS products aren’t equipped with aptX, but it is available on most versions of Mac OS X and many Android-based devices. Pairing a single speaker to your phone or PC is easily accomplished by holding down the play button while the speaker is powered on. A sonar-like chime lets you know you’re in pairing mode. Shortly after that, the speaker should appear in your mobile device’s Bluetooth menu. However, if you want to utilize the True Wireless feature and pair two 850s together, the process gets slightly more involved. The first order of business is to “forget” or delete any previously paired 850 speakers from you mobile device’s Bluetooth menu. The next step involved holding down the battery button on both speakers (while powered on) until they both begin to emit the sonar chime. At this point they will begin to pair with each other. A single beep will let you know you’ve been successful. You will then find one of the two speakers in your Bluetooth menu. From here, just pair as normal and you’re ready to rock. The process can be finicky, and we found selecting one of the speakers as soon as they both appeared in our iPhone’s Bluetooth settings worked best. Unfortunately, there’s no built-in signal to indicate which speaker is left and which is right. A simple solution is to employ a channel identification test such as the one found here. We began our testing by calling up “We Are Nowhere And It’s Now” by the indie folk band, Bright Eyes. Immediately our ears plunged into the 850’s steely upper register, which chronicled the subtle nuances of the vocals, acoustic guitars, and crushed snare with vivid presence. The cymbal crashes on the downbeat were especially pleasant, blooming with a smooth, airy expanse. There was a breathy edge to the attack of Conor Oberst’s voice that was just vaguely sibilant at times, but the spindly touch of the topside was countered with warmth in the lower mids, balancing things out nicely. We’ve not had positive experiences with SRS’ WOW HD in the past, and that didn’t change with its implementation here. As we moved through our catalog, the star attraction continued to be the speaker’s articulate upper register as it reproduced clear and sparkling lines in the upper percussion and brilliant precision in higher instrumentation. The luminous chimes and synth melodies at the entrance of Radiohead’s “No Surprises” were as clear and detailed as we’ve heard them on any wireless speaker in recent memory. And Peter Tosh’s “Downpressor Man” was came off as a laser sharp collage of upper percussion and cymbals, offset by crunchy, rhythmic clicks from clavinets and rich, pulpy organ in the midrange below. Hiphop and electronic music didn’t pack the punch downstairs that some listeners will crave, as the speaker is simply unable to pump out the kind of power you’ll get from a subwoofer with a high-powered amp. Still, a high max volume and some impressive force in the lower midrange proved what good engineering can do with 20 watts these days. “Can’t Keep It In” by Cat Stevens produced serious thump in the toms and kick drum once the full band kicked in, offering a blast of excitement to complement the fluid piano and brassy ride cymbals. And the full-bodied bass lines and warm low percussion in rock songs like Coldplay’s “Warning Sign” surpassed our expectations of the small speaker, approaching the breadth of a full-range sound system. We’ve not had positive experiences with SRS’ WOW HD in the past, and that didn’t change with its implementation here. Engaging the SRS feature definitely produced some extra power in both the bass and treble. However, the overemphasis at the extremes of the sound spectrum made for balance issues, generating some speaker rattle and an unwanted edge to cymbals. The 850 sounded better on most of our test tracks with the feature turned off. It didn’t take long for us to become believers in this tandem duo once we finally got them paired. A quick tour through some of our favorite tracks revealed refined articulation, deep dimension, and vivid stereo imaging. The two speakers worked well together to create a clear and potent sound field that we could make as wide as we wanted, depending on speaker placement. The very first song we put on, Peter Gabriel’s “Games Without Frontiers”, struck gold at the finale, as the speakers shuffled the well-defined synth and percussion tracks like kernels bouncing around a popcorn machine. Turning to Elton John’s “Come Down In Time”, the bubbly plucks of the harp were gorgeously rendered, and the swelling strings breathed in and out in the second verse, drawing us into the music with the same intensity we expect from a full-sized, high-end sound system. 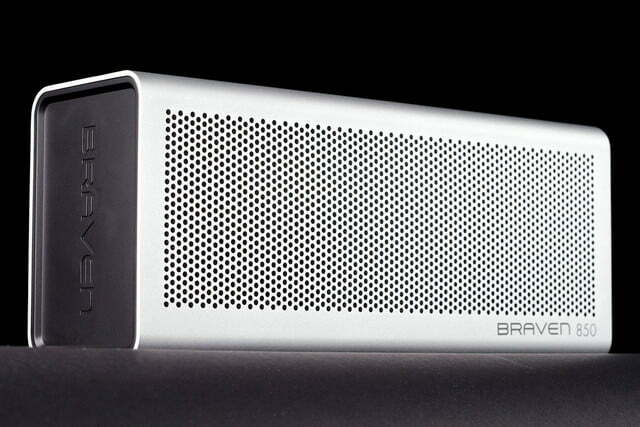 Even with the hole in the lower bass (maybe a sub could be Braven’s next project?) we could easily see ourselves engaging with these speakers regularly at home; certainly at a barbecue or beach party. Some may scoff at dropping $600 on a pair of wireless speakers, but the 850s have some distinct advantages over similarly-priced homebound wireless systems. The versatile feature set and wireless autonomy adds a new layer of options that single unit systems simply can’t address. And if you and your significant other both want an 850 for yourselves, the tag team option makes the system a much more digestible investment. 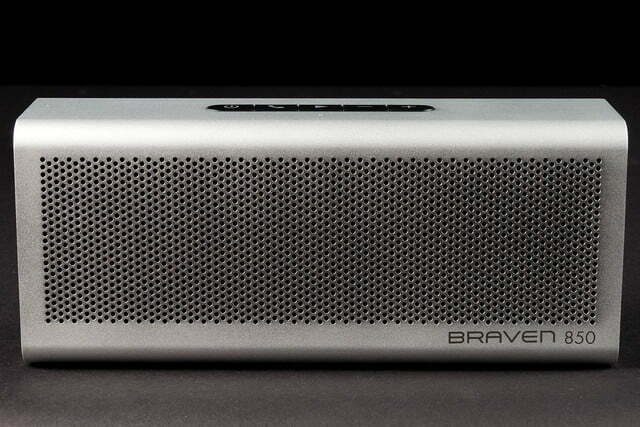 With the 850, Braven has once again proven it has mastered the design of the premium portable speaker. The big brick’s superb sound quality, portability, and rich feature set – including its Wonder Twin-style pairing – all help it raise the stakes on what a portable speaker can be. In fact, it raises the stakes for pretty much all premium wireless speaker, making expensive, single box solutions a much tougher sell. 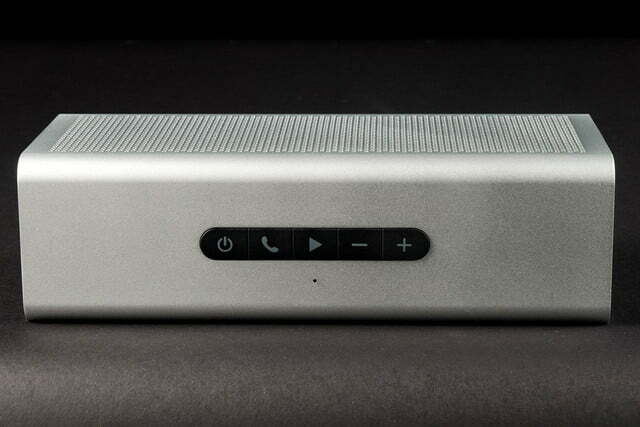 While the $300 price tag may initially seem steep, those who crave big sound, high performance, and total autonomy need look no further for their mid-sized audio solution than the Braven 850.